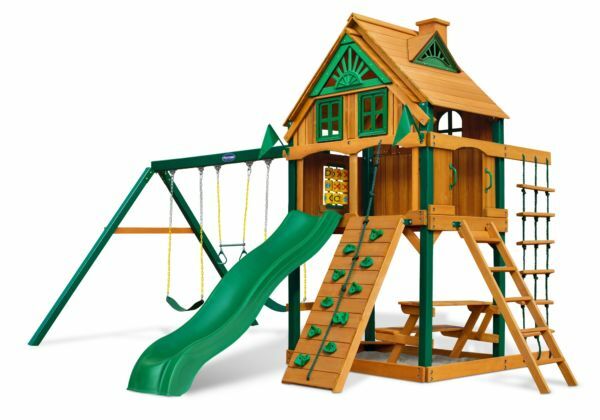 Categories: Imperial Series, Swing Sets. 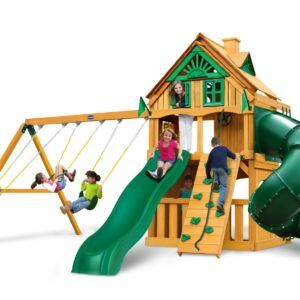 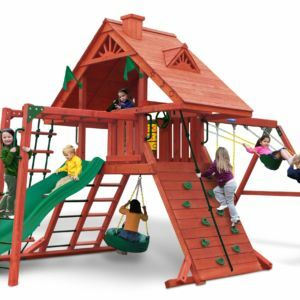 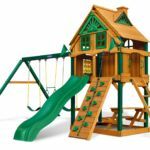 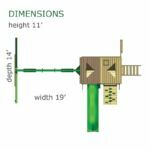 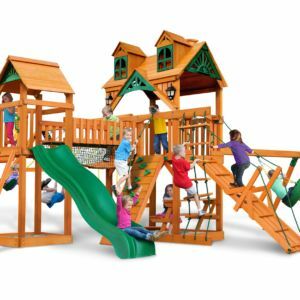 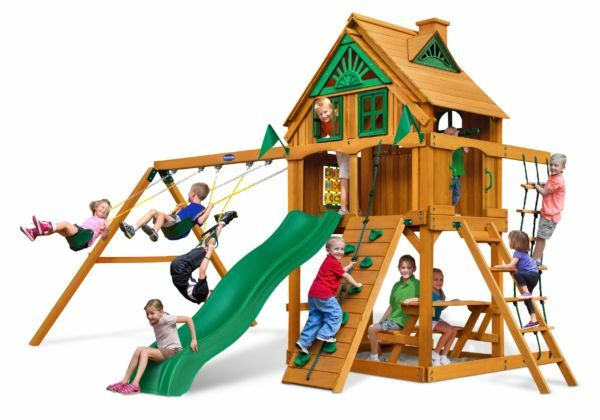 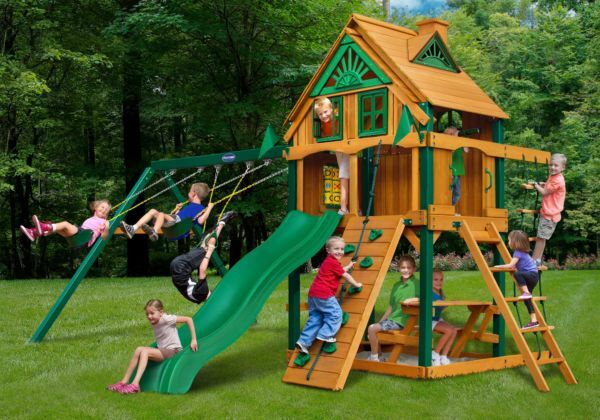 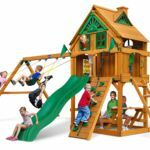 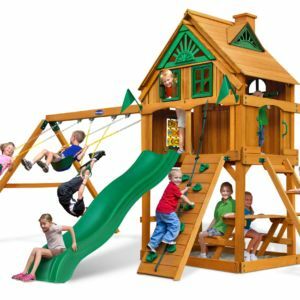 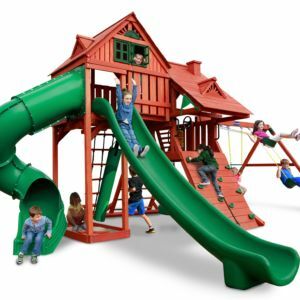 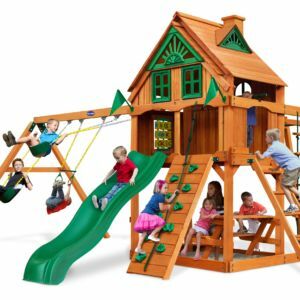 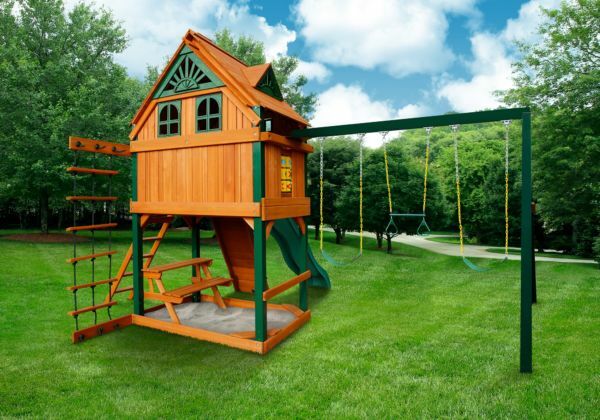 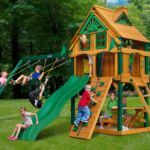 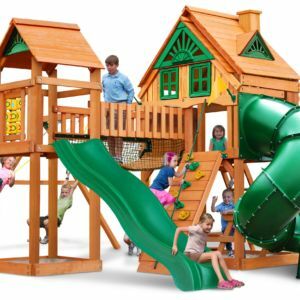 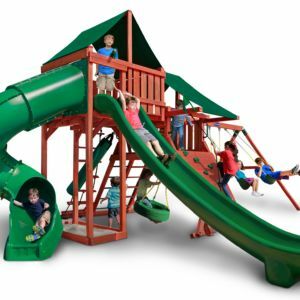 Make your yard into THE place for kids to play with the Horizon Treehouse Swing Set! 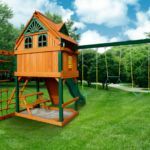 The large deck allows plenty of room for kids to take turns soaring down the Wiki Wave Slide™, and they can overlook the yard from inside the Upper-Level Treehouse. 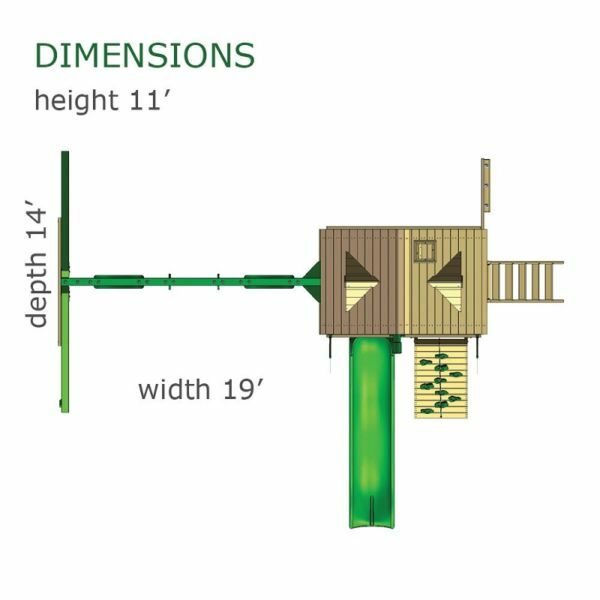 The main posts and beams are available in either a solid cedar wood or our exclusive maintenance-free Timber Shield™ option. 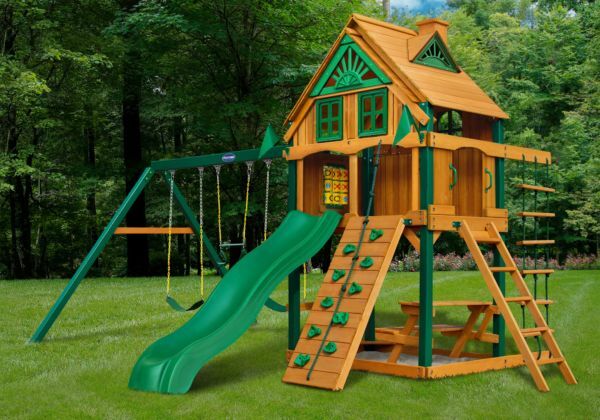 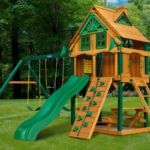 This set includes a wood roof featuring an Upper-Level Treehouse with working shutters.